On September the 3rd, 2017, Donesafe attended the opening ceremony at the XXI World Congress on Safety and Health at Work in Singapore. We heard that “The global economic impact of the failure to adequately invest in occupational safety and health is roughly equal to the total GDP of the poorest 130 countries in the world.” We also heard that an estimated 2.78 million workers continue to die each year from work-related injuries and illnesses. Shocking! This is why ISO 45001 happened. So let’s get to our assessment of ISO 45001 right away – this new global standard in health and safety is a blessing. Everyone deserves to work in a safe environment and go home every day, however, every day thousands of lives are lost due to work related accidents or fatal diseases linked to work. It is estimated that 2.78 million workers continue to die each year from work-related injuries and illnesses. 2.4 million of these deaths can be attributed to work-related diseases alone. It is estimated that work-related illnesses and injuries represent 3.94 percent of global GDP per year or 2.99 trillion US dollars. Reducing workplace incidents, injuries and deaths have a direct effect on organisational costs. ISO 45001 takes important steps to encourage prevention and risk identification. When will ISO 45001 be published? ISO 45001 has reached one of the final stages in its development and approved for publication in March of 2018. The move toward ISO 45001 will enforce safety to become an embedded part of company management, from the C-level right down. This will encourage safety to become a higher business priority with more access to budget allocation and strategic focus. This follows ISO 9001 (Quality Management) and ISO 14001 (Environment Management) which have already made this change. Ultimately, ISO 45001 can be best described as a company wide, proactive approach to creating a safety culture. ISO 45001 has been designed with everyone in mind and will work with any organisation, from sole trader to enterprise level. Over 70 countries have been apart of this product collaboration. The framework controls and identifies health and safety risks, reduces potential accidents, aids legislative compliance and improves overall performance. This new standard also showcases how to develop and implement a policy with the right objectives for organisations which are consistent across all types and sizes. What are the changes for ISO 45001? While both standards, OHSAS 18001 and ISO 45001 work towards the improvement of working conditions and share many similarities. The main point of difference is the push towards a proactive approach to risk control and an incorporation of health and safety. This will strengthen management in having a stronger leadership focus when it comes to the health and safety program with a top down approach. There will be a greater emphasis on ‘context’ of an organisation based on some fundamental concepts like ‘risk’, ‘worker’ and ‘workplace’ will change. How long do you have to migrate to ISO 45001? The new standard is expected to replace the current standard OHSAS 18001 on the publication of ISO 45001. This means that organisations currently certified to OHSAS 18001, AS/NZ 4801, and other local standards around the world will have a three year period to migrate to ISO 45001. OHSAS 18001 was developed in response to a widespread demand for a recognised standard which is to be certified and assessed which is moved to a new standard ISO 45001. The standard will be aligned with ISO 9001 and ISO 14001 which are also undergoing revisions. Donesafe’s safety management platform is already compatible with ISO 45001. Donesafe’s beautiful, easy to use platform and broad stack of applications enables organisations to transform their safety culture and overall worker participation; from digestible high level reporting for management to an approachable, personalized user experience for the lower level worker. Donesafe works on any device, including a native mobile app with an offline mode. Manage your employee engagement and consultation. Reduce user confusion by only showing them what is relevant at any given time. Easy to use and fast to learn. Donesafe’s platform is built with user experience top of mind. Assist workers by activating once shelved knowledge into the cloud and available on demand. 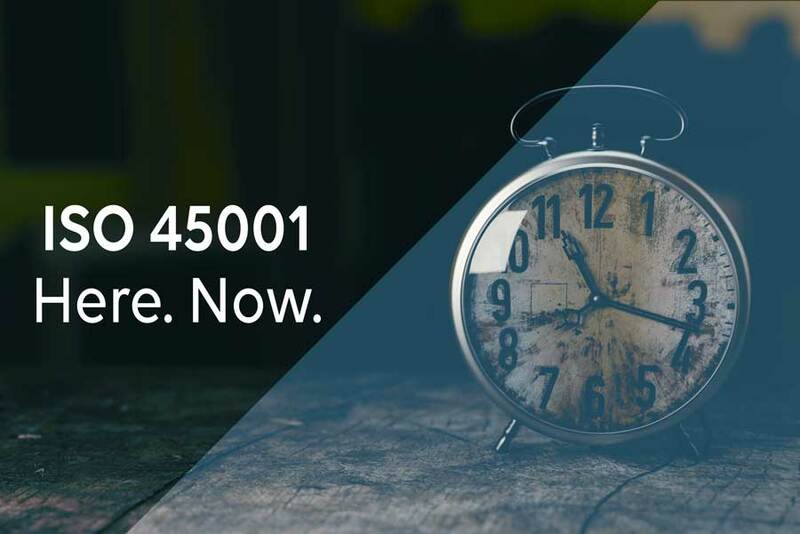 Future-proof your safety management system for future amendments to ISO45001 and beyond with Donesafe’s configurable Platform. Avoid paying for expensive developers to make custom modifications. For a business safety solution that you can manage from your phone, click here to get in contact and ask about how you can try Donesafe for FREE or visit our features page to find out more.